Everyone who plays Minecraft for more than a year has heard about Herobrine. This mysterious guy is still one of the strangest creatures ever since the first information appeared about him. There’s no exact confirmation that he exists, it’s just a fictitious myth from the fans. In reality, everyone wants to meet Herobrine in the world and see him alive. According to the legends, he doesn’t have pupils, only a bright glow and he is much stronger and more cunning than you. Herobrine always remains invisible hiding in bushes or behind blocks. While you’re doing something, he is quietly watching over you. Enough of the stories, let’s take a look at the addon itself that brings a new living entity. 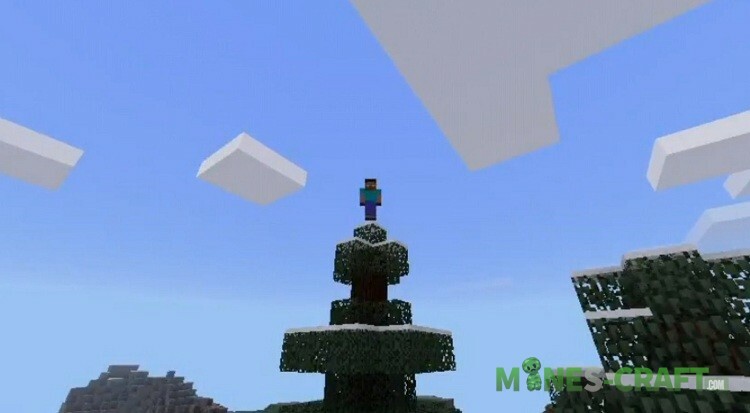 This is the concept of how Herobrine would look if the Mojang Team added him to MC:PE. He is extremely strong, his abilities are enough to beat you for half a minute. 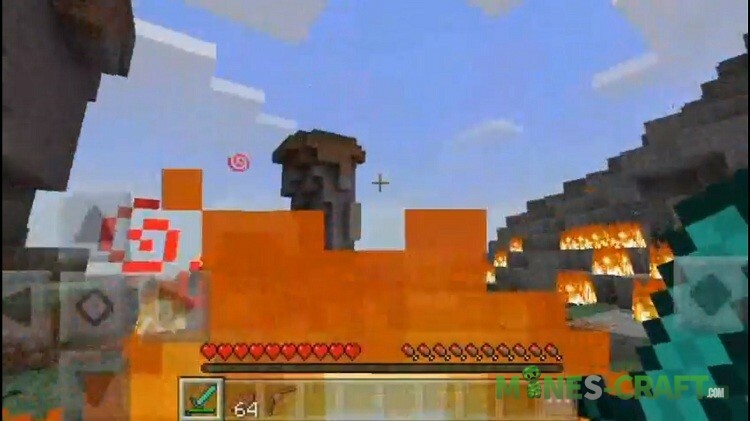 How to meet Herobrine in Minecraft? You can’t see it while walking. There is this statue shown in the screenshot. Build it so that Herobrine was summoned but think carefully before doing this, he is mega strong and will pursue until he dies. Download the file the link below. Open the .mcpack file using Minecraft PE.